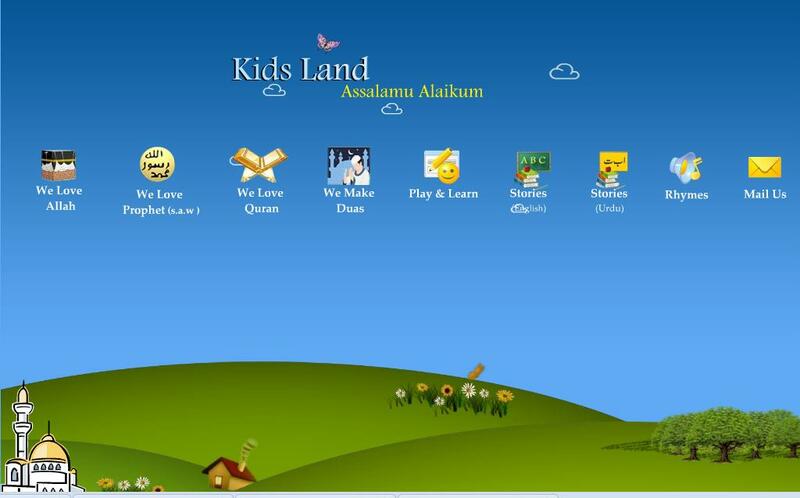 Alhamdullilah, We are happy to announce the launching of Kids Land – An Islamic Edutainment Website for Children. Children are the greatest blessing of Allah (swt) and young blood has more potential of learning and implementing Islam to the fullest. Kids Land has been developed which provides children with Islamic and moral stories as well as interactive games and quizzes which will enhance their knowledge and information on Islam. Inshallah we will be adding more new stuff to Kids Land to provide children with quality edutainment. Please do visit this website and let us know what you think. As every year ends and a new one begins, Muslims all over the world face the dilemma of whether or not to celebrate some international holidays and festivals that follow close on each other’s heels. Examples of these are Halloween, Thanksgiving, Christmas, New Year and Valentine’s Day. These are soon followed by Easter. Muslims living in Western countries in particular, get overwhelmed by a rush of partying, decorations, greetings, school holidays, seasonal sales, and merry-making on a communal level, leaving them with little options about what to do. Although most progressive societies claim to offer individual freedom-of-choice to their dwellers, boasting multi-ethnic populations which exhibit mutual tolerance and respect, the fact remains that Muslims are seldom genuinely respected for their lack of integration into these societies. Since Muslims are unflinching about their worship and Islamic obligations in any sphere of life — be it social interaction, dress code, dietary rules, or work ethics — they usually face silent antagonism from their communities; one that brims quietly under the surface, but is very much present. As a Muslim, when you and your family are faced with the dilemma of how to spend the time during which everyone around you is preparing for, or celebrating, a holiday that is not part of Islam, how should you think, act and react in general, with other Muslims, as well non-Muslim peers and colleagues? You can consult original sources of knowledge about what a Muslim should and should not do during secular festivals and celebrations. What exactly is it about partaking in these festivities that is frowned upon in Islam? Is it the aspect of imitating non-Muslims? Is it the extravagance and spending involved? Or is it the support of the beliefs and concepts on which these celebrations are based, that is disliked? You can refer to your local mosque, or Islamic QA sources on the Internet for your answers, so that you make an informed choice about your actions. After that, you may choose to educate your fellow Muslims – those who are willing and eager to listen – about what you have learned. However, please do not forcefully lecture or preach to those Muslims who are not interested in listening — those who want to celebrate the holidays, and are unconcerned about the Islamic viewpoint of this issue. Click here for a video by Sheikh Abdullah Hakim Quick, titled “The Truth About Holidays”, a lecture which he delivered at the University of Miami, regarding celebrations and holidays in Islam. Since the family might be getting a few days off any way, you should carefully plan some fruitful and fun outings to make the most of them. Visiting relatives in another town or in a different country is a good option. Going to parks, the zoo, on a lakeside picnic, or to a cabin in the mountains for the weekend, are other enjoyable options. If on a budget, you can camp out in your own backyard, teaching your children how to set up camp and start a bonfire! Once you get down to it, your creative ideas will start flowing. E.g. during Halloween, when all other children are trick-or-treating, or getting pumpkins from the pumpkin patch, you can buy your children some candy and a pumpkin anyway, explaining how Allah created it. Later on, after the holiday is gone, you can buy them a costume of their liking, if they feel too dismayed at not having one while other children do. For older children, you can give them a short background about Halloween and why it is not celebrated in Islam. The same goes for Christmas – when your children ask you who Santa is, or why everyone is decorating a tree in their living room, you can give them the background of the whole celebration. But that will be possible only if you yourself know it first! You should remember that unless you focus on providing fun alternative family entertainment and outings, your children will definitely want to join in with the international holiday celebrations, feeling left out and lonely. It is easy to deny them their joys, but more difficult to actually provide them with enjoyable alternatives. As Muslim parents, it is your duty to do the latter. The answer to this question is: provide an alternative celebration to your child a month or so before their birthday comes up. First of all, explain to them that their birth date keeps moving according to the lunar calendar, just like the annual ‘Eid celebrations move every year. Make them remember their lunar birth date and year (click here for a solar-to-lunar date converter), besides just the Gregorian one. Because children should not be denied their fun and parties, organize a party every year for each of your children, before their birthday comes up, in which all their friends are invited for games, food and fun. That way, the child will not feel that his/her parents do not love him/her, when their birthday goes by uncelebrated; they will already feel special and thought of. Instead of a cake, you can keep individual muffins. Leave out the birthday song, candle-blowing and the cake-cutting, but have the games, assorted party food, Islamic musical entertainment (such as duff-accompanied nasheeds) and colorful decorations, as part of the festivities. Instead of making your child expect gifts from guests, buy individual gifts that he or she can give to each friend when they leave. This will encourage your child to have a giving spirit. Muslim parents should also plan special festivities on both ‘Eids, so that their children never feel that their family is “no-fun” or “boring”. If, in addition to annual children’s parties, picnics on the beach, trips to the park/playground, to the zoo, the museum, and to fun-fairs, in addition to swimming, cycling, archery, other sports and horse-riding, are a regular part of your children’s life, they will never, ever miss not having “birthday celebrations”, because their yearning for enjoyment will be more than satisfied. You, as a Muslim parent, have to ensure that you provide healthy, Islamic alternatives for your children’s enjoyment, for this to be possible. People do a lot of things in the heat of the moment just because everyone around them is doing it. This attitude is indicative of youth, immaturity and impulsiveness. Wise, mentally independent and intelligent people don’t just do something because the world tells them to do it. They think about who they are, what they believe in, and where they want to go in life before they do something. As a Muslim, if you feel there is ‘nothing wrong’ with being part of a community celebration, even if it signifies, or is the result of, the belief-set of another religion; maybe you should ask yourself some key questions about your faith. What do you believe, and why? Why are you a Muslim? Because you were born one? Because your parents raised you as one? Or because you have chosen to be one, after serious study of Islam’s authentic sources? Are you akin to a leaf floating on a river, going where ever the flow takes it? Or are you a strong, confident individual; someone who knows who they are, what they want in life, and is not apologetic about it? So, maybe you are one of those Muslims who go ahead and celebrate every holiday under the sun with your entire eclectic group of friends. You pull out all the stops and don’t give two hoots about any kind of Islamic restrictions, when the time comes to eat, drink, and be merry. You, therefore, can not stand the sight, sound or company of Muslim men in thobes, wearing kufi’s and sporting beards, with their hijab-donning wives in tow, telling others about the reality of these holidays and how they are impermissible to celebrate in Islam. Whenever you get the chance, you snub, criticize and degrade these practicing Muslims, calling them demeaning names and rejecting their polite efforts at Islamic brotherly relations. Be a little tolerant yourself; live and let live. If they make you feel guilty for some reason, causing you to go on the offensive to defend yourself, resist the urge to put them down in front of non-Muslims – it doesn’t look pretty. Just live and let live. Quietly. Your Muslim neighbor, sibling or friend might not be too keen about celebrating the New Year. They are not letting their children go to a New Year party. Your ‘weird’ cousin got no gift, chocolates, or flowers for his wife on Valentine’s Day, saying he “doesn’t believe in it”. Your married sister pulled her children out of a secular school when it held a Christmas celebration. Your parents refuse to buy a Christmas tree, presents or stockings for the living room on Christmas Eve; because, they insist, they are Muslims. No matter how much you don’t understand, nor appreciate this apparent “extremism” or “narrow-mindedness”, try not to argue with them about their beliefs. They have their reasons for their actions, and maybe those reasons are genuine – to them. If you don’t mind your friends of other faiths making an effort to preserve their own cultures and traditions, don’t hate Muslims for intending to do the same thing. Ever wonder why Chinese restaurants are hued with red? Ever think why most Hindus do not eat beef? Ever criticize them for it? If not, treat your fellow Muslims with the same respect. If you are comfortable and confident about your faith in Islam, you won’t really be bothered about what the world thinks of you if you don’t participate in secular festivals and celebrations. However, if you are yourself inclined towards these celebrations, you will probably resort to complaining about, and criticizing, the restrictions of Islam, labeling those who adhere to them as extremists, bores, or fundamentalists. Whatever the case, try not to get into fights over each others’ choice of action, and remember that mutual respect and tolerance is preached by all religions of mankind; therefore, adhere to this universal law, especially with your own brothers and sisters in Islam, whenever pumpkins, fir trees, red hearts or Santa’s appear on the horizon. The author writes for Hiba Magazine.